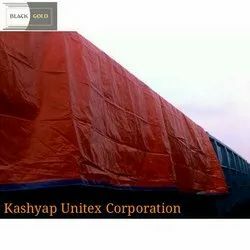 KASHYAP UNITEX CORPORATION leading manufacturers and suppliers of LDPE Black Sheet, HDPE Tarpaulin/Cover. 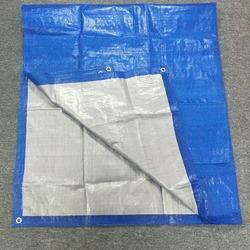 The offered low density poly ethylene sheet/HDPE tarpaulin/Cover is very commonly used for covering food grains, cotton, fertilizers, cement and chemicals. A tarpaulin is a large sheet of waterproof material available in various sizes, usually made from plastic like HDPE, LDPE. Tarpaulins available in different materials and thicknesses for various types of applications, e.g., canvas, urethane-coated polyester, polyethylene, etc. 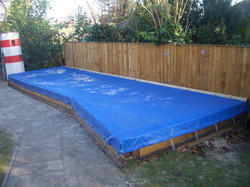 Modern day tarpaulins are made from woven polyethylene, thereby making them cost-effective. 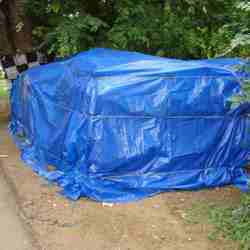 We are the leading manufacturer of Tarpaulin Wagon Cover and our product is made of good quality. These are normally used for temporary structures where protection from sun and rain is required, usually for a shorter length of time, like Monsoon Sheds, Wedding Mandaps, etc. We manufacture and supply a wide range of Waterproof Tarpaulin that are available in various sizes and can also be offered in customized sizes. We manufacturer Common Proof Tarpaulin. Under this category there are many varieties as mentioned in the Indian standard and manufactured under strict qualities compliance as per related Indian standard. use high quality of raw material and ensure that the entire range is manufactured under strict quality measures to meet various industrial quality norms. · It is 100% water proof and rot proof (optional), heavy in weight than all other tarpaulins, shrinks in length and width when it gets wet, biodegradable, Durable waterproof, non – breathiness. 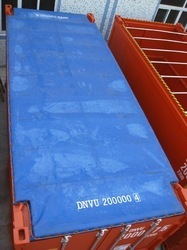 Generally used in go down, ground sheet, by Farmers and transporters. 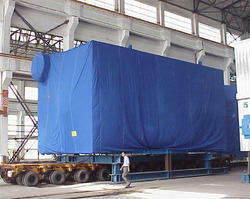 We are one of the renowned names in the industry that manufactures and offers a comprehensive range of Fumigation cover. Our personnel make use of quality raw materials and manufacture these covers in accordance with the set industry standards. These are also offered in various specifications as per the clients’ requirements. It is 100% water proof and rot proof (optional), heavy in weight than all other tarpaulins, shrinks in length and width when it gets wet, biodegradable, Durable waterproof, non – breathiness. 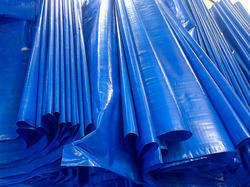 Generally used in go down, ground sheet, by Farmers and transporters. We manufacture and supply a wide range of Waterproof Tarpaulin that are available in various sizes and can also be offered in customized sizes.We manufacturer Common Proof Tarpaulin. Under this category there are many varieties as mentioned in the Indian standard and manufactured under strict qualities compliance as per related Indian standard. use high quality of raw material and ensure that the entire range is manufactured under strict quality measures to meet various industrial quality norms.